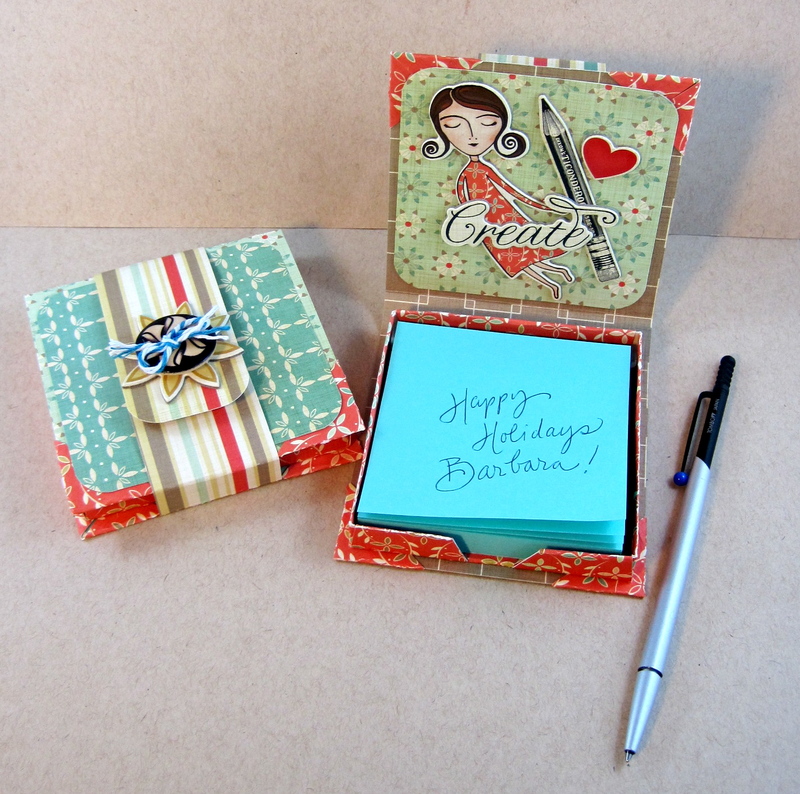 It’s not too late to make some gifts for friends and co-worker this season! 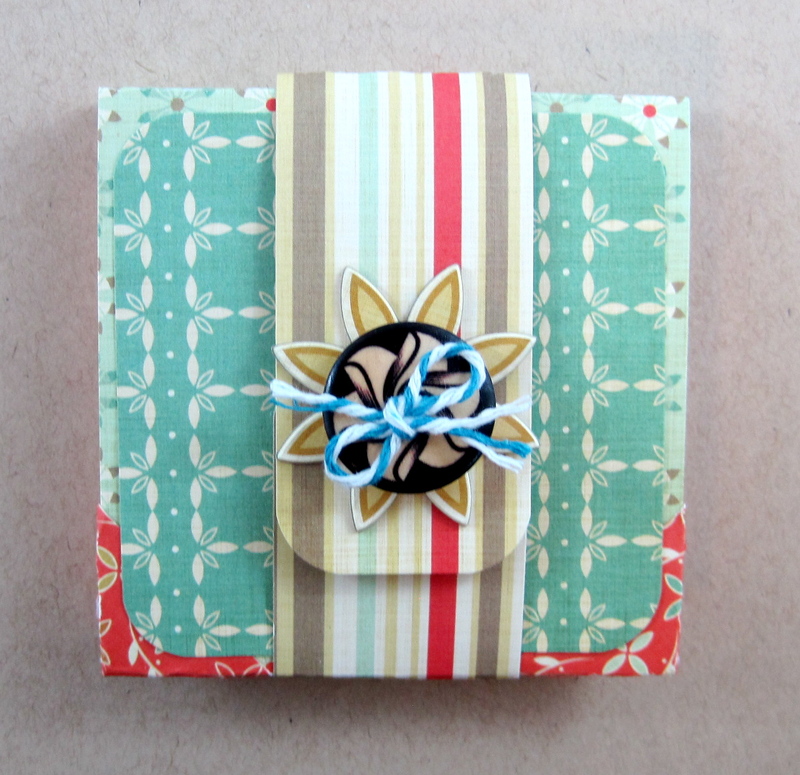 This paper package holds a pad of sticky notes and would be a welcomed gift for any office worker or busy mom. 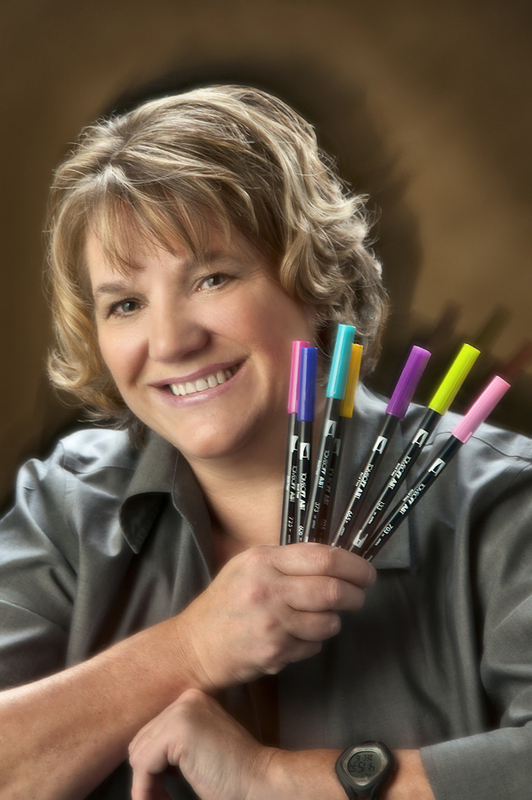 Check out Tombow’s Fine Pens , they would be a welcomed companion gift to the package! Tombow adhesives makes it fast and easy to make and insures it will hold together. Change it up by using papers and embellishments to match your recipient’s style. I used paper and embellishments from the Art Angel collection from Cosmo Cricket. 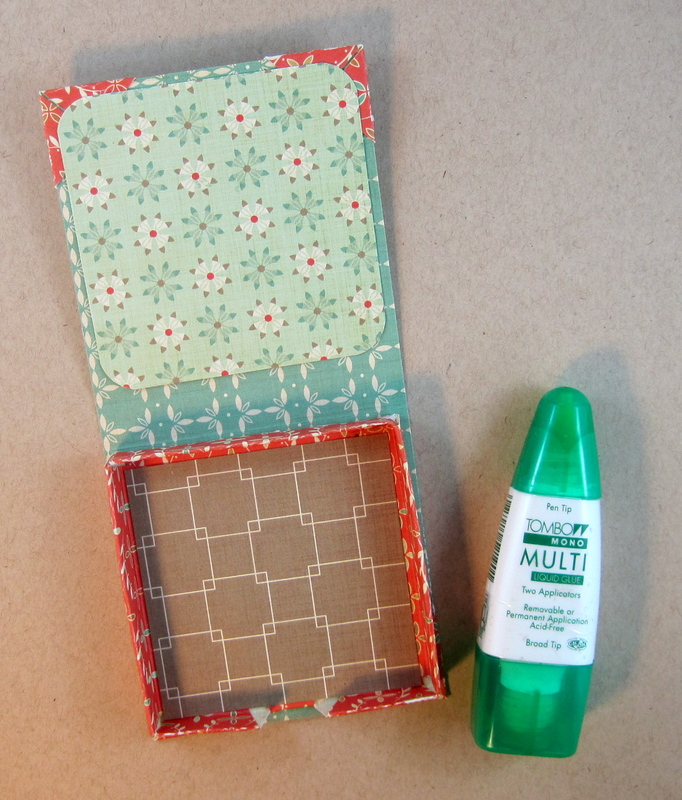 I used the Mono Multi liquid Glue for the box and cover construction and added the panels using the Dot Adhesive. The belly band holds the container closed and also works as an easel to hold the lid up when using the sticky notes. 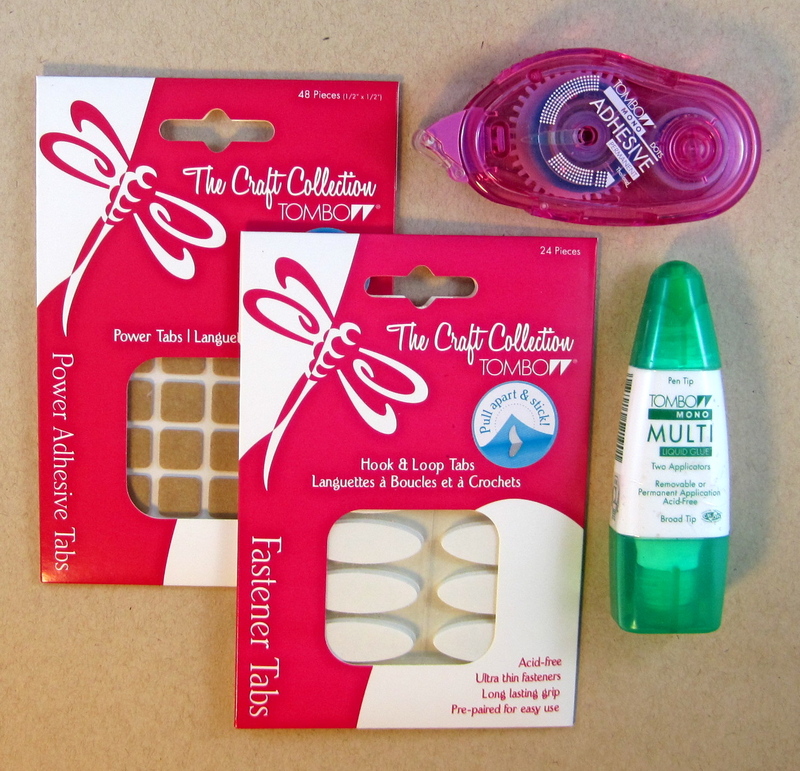 The Fastener Tabs makes both these functions possible! The decorative chip boards decorates the inside lid and a Power Tab is used to hold a button embellishment to the belly band. I’m showing the package here with both an open and closed view. My favorite Tombow pen, the Zoom 727 Ballpoint Pen, is also shown. Want to see complete instructions for this project? 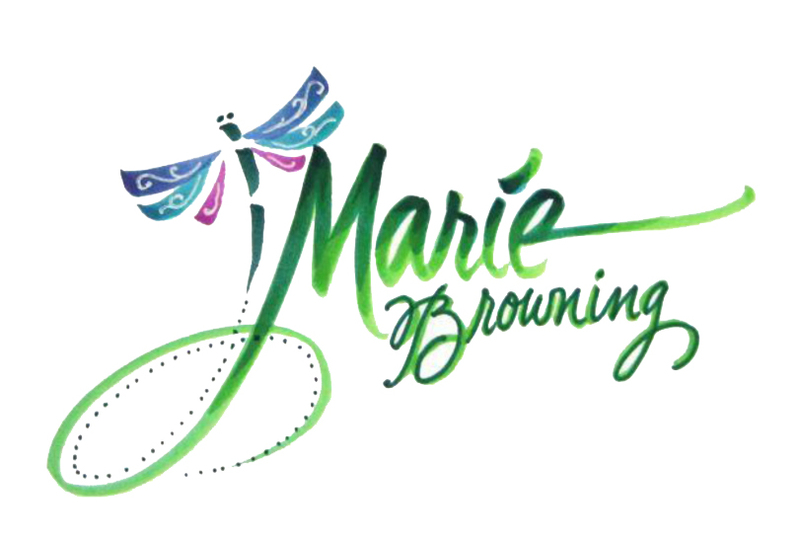 Go to Scrapbooking.com for the dimensions and step-by-step instructions!